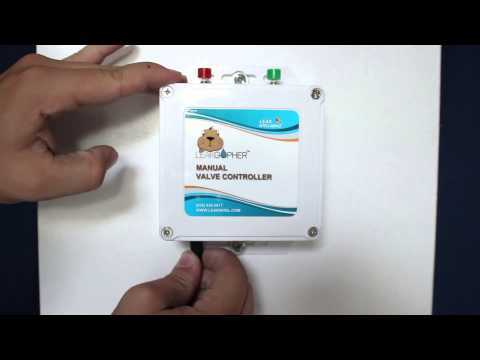 The Leak Gopher Z-Wave Valve Controller is a professional grade Z-Wave device that allows the water to your home or business to be automatically turned off when water is detected by smart water sensors connected to any Z-Wave capable controller. It comes with a Stainless Steel Electronic Ball Valve. Simply install the stainless steel electronic ball valve on the water line where water enters your home or business, attach it to the Leak Gopher by plugging in the RJ-11 telephone jack, and enroll in the Z-Wave hub. When any of your water sensors get wet, your Z-Wave Controller will tell the Leak Gopher to turn the water off. Can be used to program scenes. No more worries about your house flooding while you are away. Two buttons on the device that allow you to instantly turn your water off and on.